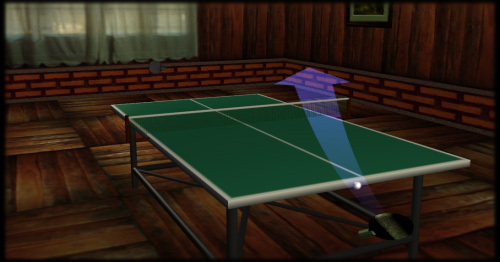 Table Tennis Pro V2 has been released for Windows and Mac OS X. Version 2 contains huge improvements over Version 1, in almost every area of the game. For more details of the changes, have a look at What's New in V2. "Sweat Your Guts Over It" - Check out 3D2F's review of Table Tennis Pro here. DOWNLOAD Table Tennis Pro V2 for free now. Discover what makes Table Tennis Pro special. Read real accounts of peoples' experiences with Table Tennis Pro. Find out how to make the game last even longer. Discuss all aspects of the game and more with other players. Organize online games using the Multiplayer Contact List and/or the Multiplayer Chat Room. Register your version of Table Tennis Pro V2. Table Tennis or Ping Pong - What do you call the sport ?